Servo drives are made for motion involving a high degree of precision and dynamics. These controlled, dynamic motors can be found in many industrial applications like automation equipment, packaging machinery and machine tools through industrial robots in the automotive industry. 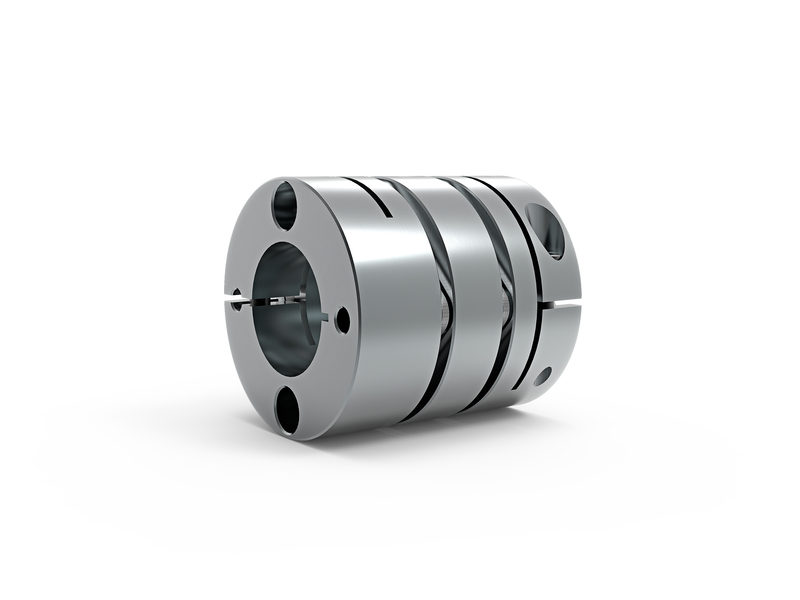 Shaft couplings for these demanding applications must be correspondingly inertia-reduced, provide misalignment compensation, and operate with a high degree of precision. R+W has decades of experience in this area with its precision bellows couplings, and will now be expanding its offering for this special application by adding its new SCL range; consisting of a zero-backlash disc pack coupling with light weight aluminum clamping hubs - designed for lower torques. The servo disc pack coupling is suitable for dynamic drive tasks involving frequent stopping and starting as well as reversing operations, where the focus is on absolute positioning accuracy. Their hubs are made of aluminum, which delivers low weight and low moment of inertia. The disc packs themselves are made of high-strength stainless steel and feature a high degree of power density. High-strength screws that transmit torque via a frictional connection are used to fasten the disc packs – entirely zero backlash. No micro-movements are generated in the disc pack connection, which translates to higher torsional stiffness. The shaft-hub connection is only available in a friction-locked format with a clamping hub, split clamping hub or conical clamping hub.